Go back to the day of deepest fog in your memory. If your experience is like mine, the clouds descended and were so thick that you struggled to see past your arm. It was so heavy that you could feel the mist physically, and emotionally it felt oppressive. At those times it seemed safest to stay right where you are. 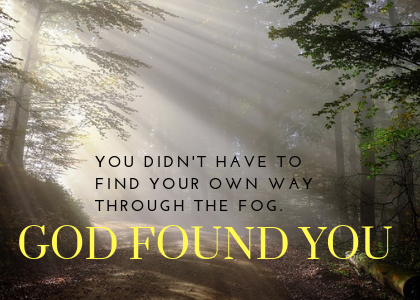 Now imagine you were trying to find God in the midst of that deep fog. You want to be closer to him, but it seems so hard to find him. You don’t know which way to turn. You feel lost. 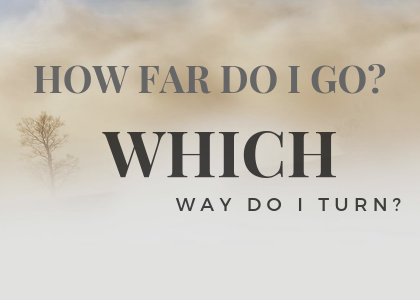 How far do you go? Which way do you turn? It’s a navigational nightmare. And it all depends on you to take the right steps. Sadly, this is what it can be like for many of our Mormon friends. Mormons are taught that Satan is evil. Yet they’re also taught that it was good that Adam and Eve listened to Satan and ate from the forbidden tree in Eden. The Bible teaches that “God is spirit” (John 4:24) and spirit alone does not have flesh and bone (Luke 24:39), but Mormons are taught that God the Father “has a body of flesh and bones as tangible as man’s” (D&C 130:22). Elder Jeffrey Holland encourages Mormons to avoid “toxic perfectionism,” yet in the same article urges to keep trying because we have the divine potential to become perfect (Ensign, Oct. 2017). LDS members are encouraged to study their Scriptures, yet they’re discouraged from asking questions: “When the Prophet speaks, … the debate is over” (Ensign, Nov. 1978). The list could go on. With each one, the fog becomes deeper and darker. Who do I follow? How do I get there? Gradually God becomes more distant and more difficult to find. Some ex-Mormons have described this as a burden of confusion. Friends, give thanks that God has shattered the darkness and filled your heart with the light of life. 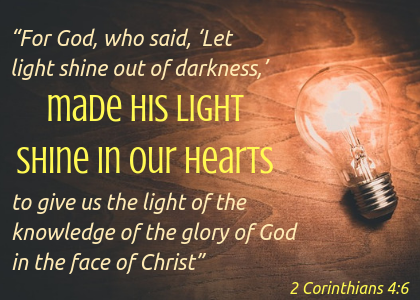 “For God, who said, ‘Let light shine out of darkness,’ made his light shine in our hearts to give us the light of the knowledge of the glory of God in the face of Christ” (2 Corinthians 4:6). The Spirit consumed that fog, gave you a picture of Jesus as your all-sufficient Savior and revealed the heart of your Father in heaven. As you focus on the cross of Jesus, your identity, your purpose and your future all become clear. You didn’t have to find your own way through the fog. God found you. And he continues to reach those who are still lost in the fog. Consider those God has placed in your life who are enveloped by that burden of confusion. Reach out your hand. Point them to Jesus. And then marvel at the Spirit’s power to make everything clear for them just as he’s done for you. For more on this topic, check out this week’s witnessing tip.